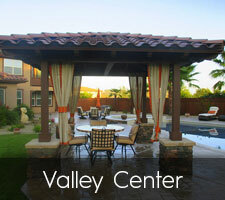 Patio covers are an extension of your home that provides shade and protection for your patio area. While some people have awnings made of vinyl or metal, our wood patio covers are built by experienced carpenters and provide as much beauty as they do protection. Call us for a free estimate today. Many people confuse pergolas and patio covers. A cover is supported on one side by your home and on the other side by pillars. A pergola is a stand-alone option that doesn’t provide protection all the way to the edge of the house. When it is raining, a pergola won’t stop you from getting wet coming in and out of the house. Patio covers offer maximum protection from the moment you walk outside. Even if you know this is the option for you, choosing what it should look like may be difficult. There are so many choices! As experienced designers, we can help you to find the perfect look that complements the style of your home, both inside and out. Whether you want something simple or modern, elaborate or with clean lines, we can help. Before beauty always comes safety. Our carpenters have the training and experience to build a patio cover that will safely protrude over your patio and give your family years of protection. One of the most important factors to this is using the right size of wood. Many contractors go with 2×4’s, but using at least a 2×6 is necessary to safely support the weight of the roofing materials. We bolt the ledger board to your home and use brackets to secure all the rafters to the ledger board. No matter what type of roofing material you choose for your patio cover, it’s important to put flashing where your home and the cover meet. This will prevent water from seeping down the exterior walls of your home and causing the potential for mold and water stains. When we build your cover, we’ll ensure there is proper sloping for shedding water. 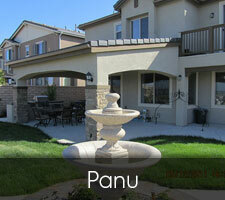 The columns or pillars that support patio covers can be simple square posts or have elaborate carvings. Because they are there primarily to provide support, they are typically much larger cuts of wood. That allows us to be more creative with carvings. 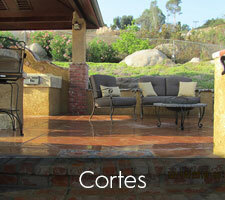 Patio covers allow you to enjoy outdoor living even when it’s raining. Contact us for a free estimate on building a cover for your living space. 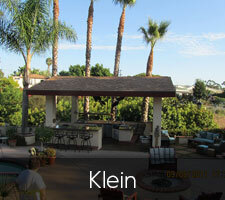 We’re A+ rated with the BBB and are fully licensed and insured. 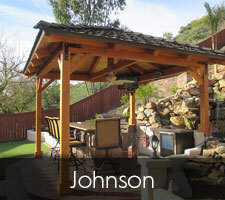 We design and build patio covers in San Diego, Carlsbad, Encinitas, Chula Vista, La Jolla, Coronado and all nearby cities in San Diego County.